The climactic 50-48 roll call capped a fight that seized the national conversation after claims emerged that he had sexually assaulted women three decades ago — allegations he emphatically denied. 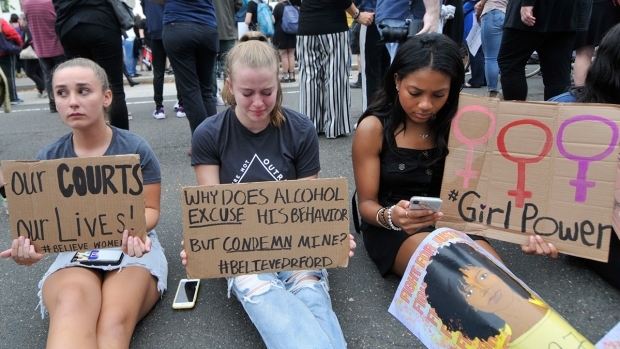 Those accusations transformed the clash from a routine struggle over judicial ideology into an angry jumble of questions about victims' rights, the presumption of innocence and personal attacks on nominees. His confirmation provides a defining accomplishment for President Donald Trump and the Republican Party, which found a unifying force in the cause of putting a new conservative majority on the court. Before the sexual accusations grabbed the Senate's and the nation's attention, Democrats had argued that Kavanaugh's rulings and writings as an appeals court judge raised serious concerns about his views on abortion rights and a president's right to bat away legal probes. The justices themselves made a quiet show of solidarity. 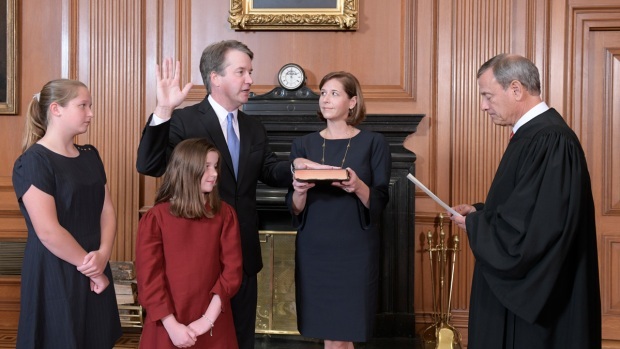 Kavanaugh was sworn in by Chief Justice John Roberts and the man he's replacing, retired Justice Anthony Kennedy, as fellow Justices Samuel Alito, Clarence Thomas, Ruth Bader Ginsburg and Elena Kagan looked on — two conservatives and two liberals. Still, Kagan noted the night before that Kennedy has been "a person who found the center" and "it's not so clear we'll have that" now. McConnell told The Associated Press in an interview that the "mob" of opposition — confronting senators in the hallways and at their homes — united his narrowly divided GOP majority as Kavanaugh's confirmation teetered and will give momentum to his party this fall.